The SafeLaw program was built by lawyers to provide the comprehensive cyber risk insurance coverage and services law firms need. SafeLaw incorporates industry specific coverage components, a wrap structure that dovetails with lawyers professional liability coverage, and specialized law firm incident response and claims handling services. A brief summary of the core SafeLaw program features are summarized below with links to additional information where applicable. Limits starting at $100,000 and up to $15,000,000 is available. First-party coverage for cost to restore electronic data and software damaged in a computer attack. First-party coverage for loss of income and extra expense caused by a computer system disruption. 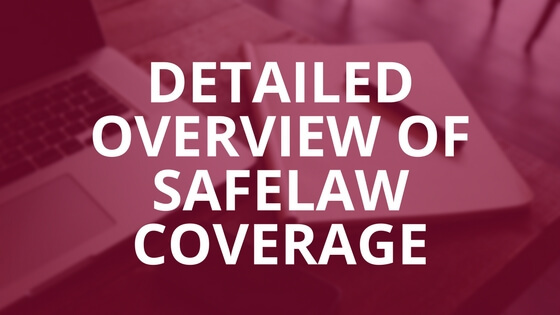 The coverage features listed above are just a small sampling of the coverage in SafeLaw. Please click here for a more detailed overview of SafeLaw coverage. In addition, we have prepared a short overview of SafeLaw’s features and benefits compared with cyber risk insurance available from other insurers. 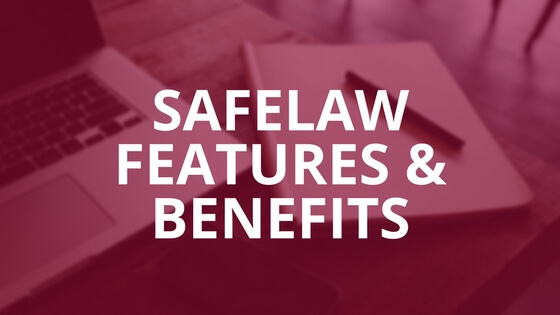 Please click here to review a summary of SafeLaw’s features and benefits. Cyber risk incidents and claims at law firms are significantly more complex than claims in other industries because cyber risk claims at law firms often involve confidential information or information subject to attorney client privilege. Therefore, we built our SafeLaw incident response team using third party legal and cyber risk specialists with an expertise in law firm claims. An overview of the SafeLaw incident response and claims handling features are listed below. Incident and claims notification are protected by attorney client privilege. 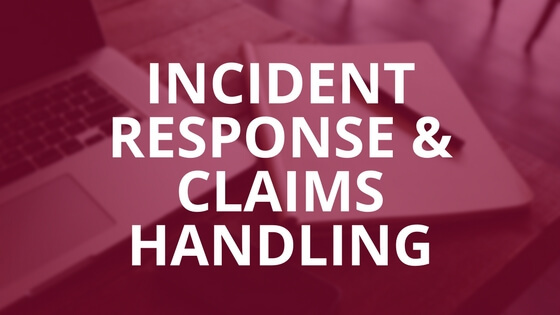 Incident response and claims team staffed by law firm specialists including: (1) technical professionals; (2) legal experts in breach response and confidentiality breaches; (3) victim notification and remediation specialists; and (4) public relations advisors. Breach response process and team built around confidentiality breaches, breaches of attorney client privilege, and privacy breaches. Specialist advisors for ABA and related professional ethics violations, PCI breaches, trust account violations, and regulatory breaches. Expert guidance in ransomware attacks and extortion negotiation.